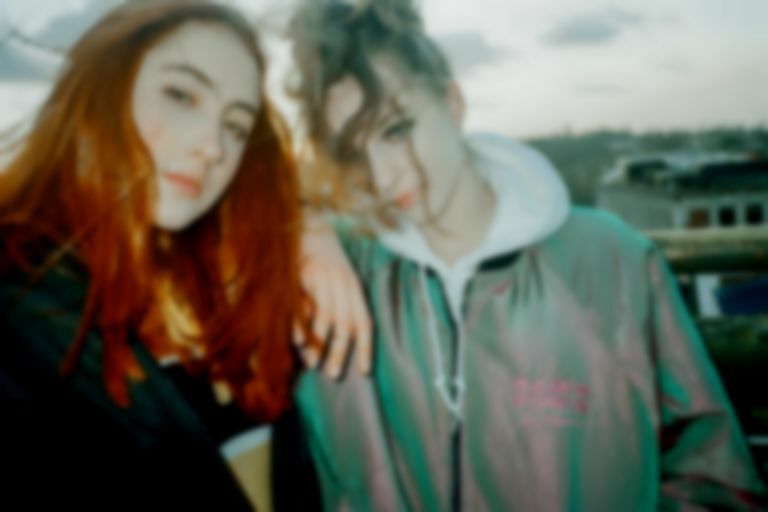 Let’s Eat Grandma are undoubtedly one of the UK’s hottest acts - still in their teens, they combine childlike vocals with powerful beats to form chaotic, squelching, hair-raising pop. Last night at Heaven, they were introduced by the sinister beat and cello melody of album opener "Whitewater" from 2018's I’m All Ears. The duo - Rosa Walton and Jenny Hollingworth - could easily have maintained the spooky feel, but instead showed sincerity and enthusiasm as soon as they appeared. At first, it seemed the spell had been lifted too early, but as they launched into "Hot Pink" - an in-your-face electro track about the power of femininity - it became clear that Let’s Eat Grandma is an act fully committed to fun in every sense. Tonight's performance was varied and stylistic, showing the breadth of their capabilities. It felt strongest at its most ravey moments, with bass reverberating through the crowd and Walton snaking her way across the stage in silhouette. But the calmer moments worked too; they managed to hold the room’s attention throughout the ten-minute long "Cool & Collected". This track was outstanding: the effortless vocals were amazing and, together, the duo complemented each other perfectly. Arguably their most powerful song to date, the duo played the haunting "Donnie Darko" with added live recorder. In a live setting this added a cohesive layer to an already strong set as Hollingworth had previously played saxophone earlier in the set. As "Donnie Darko" expanded towards the end, Let’s Eat Grandma were at their immersive finest, proving their potential to fill an enormous space - physically and metaphorically. Still all smiles by the end, Let’s Eat Grandma are a powerful and playful force to be reckoned with and it seems they're just getting started.